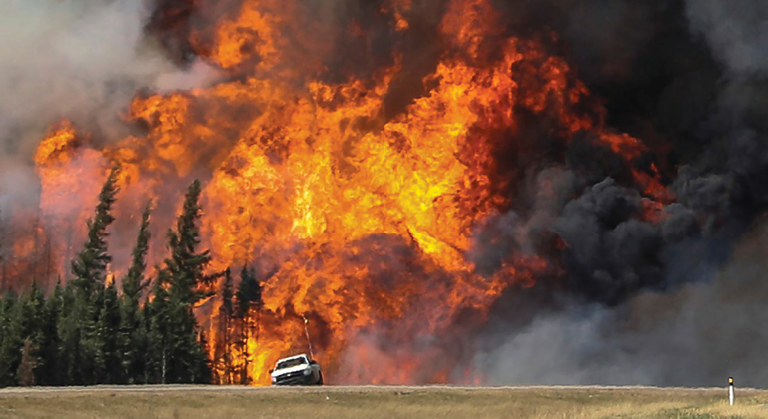 The speed with which the wildfires swept across northern Alberta in early May was matched only by the authorities’ response in ordering the evacuation of nearly 90,000 people. Remarkably, the oil sands industry survived relatively unscathed, with production back on stream later in the month. Being on the wrong side of political changes, weak markets and unfriendly decisions from one’s neighbors would surely be enough to make Alberta’s oil sands producers feel depressed. Add to that the worst that Mother Nature could throw at them, and it would be understandable if the industry were in despair. Yet despite all of the challenges it has faced since mid-2015, progress is being maintained and, from a rather predatory perspective, there has been a new round of consolidation within the participants. Up to May 2015, the Alberta provincial government had been controlled by conservative parties, with the Progressive Conservatives having been in power since 1971—almost the entire lifespan of the oil sands industry. The picture then changed with the center-left New Democratic Party winning in 2015. Having flagged its intentions later in the year, just before the Paris climate-change summit, in May the provincial government introduced legislation covering the introduction of a C$20 per metric ton (mt) carbon tax across Alberta’s economy starting next January. In addition, the government is planning a new cap on oil sands carbon emissions, which, it noted, account for around one-quarter of the province’s 280 million mt annual total. By way of explanation, the Alberta government noted that the province’s oil sands facilities are currently charged a Specified Gas Emitter Regulation levy based on each individual facility’s historical emissions, with no current limit on oil sands emissions, either by facility or industry-wide. The new approach includes an oil sands-specific emission performance standard, whereby a C$30/mt carbon price will be applied to oil sands facilities based on results already achieved by high-performing facilities. This, the government said, will drive toward reduced emissions and carbon competitiveness, rather than rewarding past intensity levels. In addition, there will be a legislated emissions limit on the oil sands of a maximum of 100 million mt in any year, the aim being to help drive technological progress and ensure the use of new technology that takes more carbon emissions out of every barrel of oil produced. Having taken a C$2.9 billion writedown on its accounts over its investment to date, TransCanada then sought a negotiated settlement with the U.S. government—to no avail, and in June issued a $15 billion-plus claim for arbitration under the North American Free Trade Agreement (NAFTA). Whether the company can achieve its aims under President-elect Donald Trump’s regime remains to be seen, and while he has signaled his willingness to reconsider the project, he has also made it very plain indeed that there would be a substantial quid-pro-quo involved in terms of long-term profit-sharing. Meanwhile, TransCanada is maintaining progress with its Northern Courier pipeline, designed to move heated bitumen and diluents a distance of some 90 kilometers (km) (56 miles) between the new Fort Hills mine and bitumen-extraction plant and Suncor’s East tank farm, 27 km north of Fort McMurray. 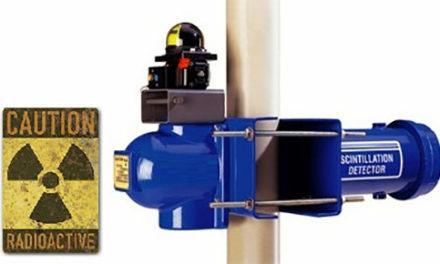 The system consists of a 24-in. 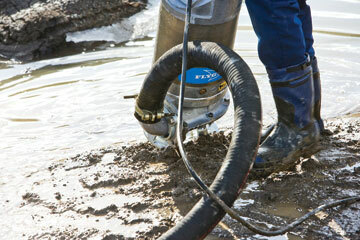 bitumen pipeline taking output from Fort Hills, and a 12-in. pipeline for returning diluent, diesel and synthetic crude oil from the tank farm to the mine. 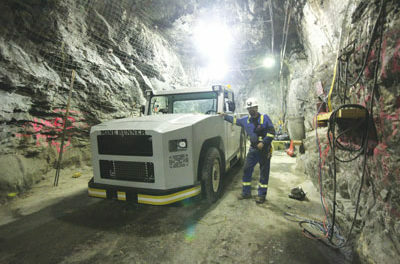 The company’s contract includes the construction of tanks and pump stations at both ends of the line. tor, Michels Corp., which used horizontal directional drilling to install the lines beneath the river bed. With both pipes running in a single 42-in.-diameter sleeve, the 2,195-meter (m) or 1.36-mile bore was a new record for the company, as well as being the longest in North America for this diameter. The initial pilot hole drilling and reaming was undertaken using two 1.2-million-lb rigs on each side of the river, with the casing then being pulled back from one side to the other through the hole. The final pipe pull took 36 hours to complete, with the company using 10 cranes, five side-booms and three excavators to support the pipe, which was in a complex horizontal curve. As it was being fed into the hole, the pipe reached a height of 14.3 m (47 ft) before being pulled under the river at a depth of more than 70 m (230 ft). As for Fort Hills itself, the lead partner in the project, Suncor, noted in its annual report that it remains on schedule with all critical milestones set for 2015 achieved. Construction was more than 70% complete by September, with the first oil expected in late 2017, ramping up to 90% of its planned capacity of 180,000 barrels per day (bbl/d) within 12 months. Seizing an opportunity when other players blinked in the face of low oil prices and uncertainty over future environmental policy, over the past 12 months, Suncor has consolidated its position as the major producer in Alberta’s oil fields. Its first foray into the acquisitions market, a little more than a year ago, saw it buying a 10% stake in the Fort Hills project from its partner, Total E&P Canada. The C$310 million purchase increased the company’s holding in Fort Hills to 50.8%, with Total retaining 29.2% and Teck Resources maintaining its 20% stake. And 2016 was not too old before Suncor was in the market again, first paying C$4.2 billion (plus the assumption of C$2.4 billion debt) for Canadian Oil Sands Ltd., then a further C$937 million for Murphy Oil’s 5% stake in Syncrude. Canadian Oil Sands was previously the largest single Syncrude shareholder with a near 37% stake, and the two acquisitions leapfrogged Suncor from a 12% position in Syncrude to holding 53.7% of the operation. The company noted that its increased stake in Syncrude, and with Fort Hills and its Hebron project on target for first oil late next year, it expects to increase its output by more than 40% compared to 2015, and to achieve 800,000 bbl/d in 2019. Images of the wildfires that swept through parts of the oil sands region and devastated some Fort McMurray suburbs in early May were broadcast worldwide, bringing home to a global audience the terrifying intensity of the flames. The mass evacuation of the city and neighboring communities added to the sense of utter impotence in the face of the inferno. Yet the whole incident passed with thankfully few casualties and, remarkably, very little physical damage to the oil sands industry’s mines, plants and infrastructure. 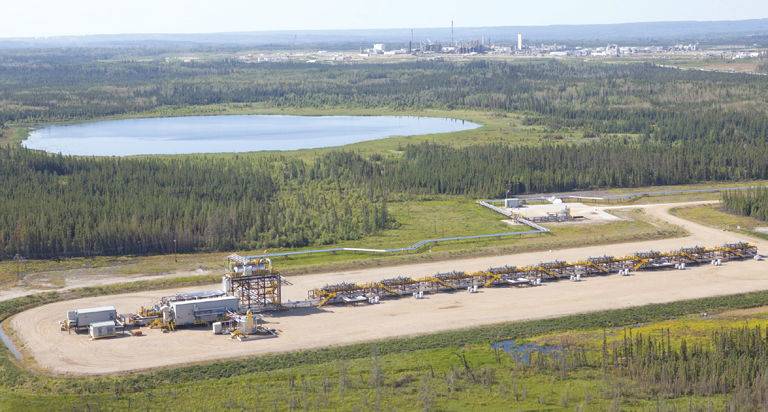 Nexen reported that its Long Lake camp was burnt, although its in-situ wells and treatment plant remained intact. The fires reached the edge of Suncor’s Base Plant mine, the closest north of Fort McMurray, but then veered away. After the initial outbreak of the fires, but before the evacuation, several operations had already been forced to reduce output because of a shortage of diluents, the pipelines to the south having been shut down as a precaution. And that was not the only pipeline problem to affect producers; their restart was slowed because product pipelines had become clogged with partly solidified bitumen and had to be cleaned out before normal flow could resume. As for the cost, initial estimates—released earlier this year—suggested that the industry had lost more than 30 million bbl in production during the outage, worth upward of C$1.5 billion. In terms of the physical damage, the Insurance Bureau of Canada estimated insured property damage at C$3.58 billion, more than twice the amount of Canada’s previous costliest natural disaster—the 2013 southern Alberta floods. For the provincial government, the fires could not have come at a worse time. With its contingency funds running low in response to weak oil prices, the cut in oil sands output cost it C$495 million, pushing its 2016 budget deficit to C$10.9 billion. According to statistics from the Canadian Association of Petroleum Producers (CAPP), production from Alberta’s oil sands grew from 974,000 bbl/d in 2005 to 2.365 million bbl/d last year. Put into perspective, while oil sands output accounted for 39% of the country’s total oil production in 2005, by 2015, the proportion had grown to more than 61%, with in-situ production making up 57% of the output from oil sands. Looking ahead, the CAPP estimates that oil sands output will reach 3.7 million bbl/d in 2030, with mined output rising from 1 million to 1.5 million bbl/d over the next 15 years while in-situ output will rise even more, from 1.3 million to 2.1 million bbl/d. However, there is a problem looming for the future in terms of transport capacity to move oil produced mainly in western Canada to markets in the east and over the U.S. border. In its annual forecast report, the CAPP noted that Canada’s pipeline network has the capacity to move about 4 million bbl/d (from all sources), which closely matched the 2015 average supply of 3.981 million bbl/d. The CAPP estimates that the production of Canadian oil, before imported diluent is added, will rise to 4.9 million bbl/d in 2030, while total supply, including added diluent, will then be 5.5 million bbl/d. Hence the need for major new oil pipelines, the organization pointed out, with the oil sands industry remaining the primary driver for Canadian oil production growth. CNOOC subsidiary Nexen’s Long Lake in-situ operation, where the wildfires reached as far as the camp. In July, the company mothballed its on-site upgrader after it was damaged earlier this year. Do Nuclear Instruments Always Need to Be Used?